Selecting the right type of fireplace doors will complement your purchase beautifully. These essential fireplace accessories will not only enhance the function and efficiency of your unique fireplace but also provide added safety. They are available in a broad variety of styles, allowing you to choose the doors that best suit your home and your fireplace for the greatest result. Cabinet doors feature two panes of glass that meet in the middle of your fireplace, allowing you to open them like a cabinet. These doors are the most energy-efficient fireplace doors available, as they have fewer seams than folded doors and can open fully to allow you full access to your wood or gas fireplace. 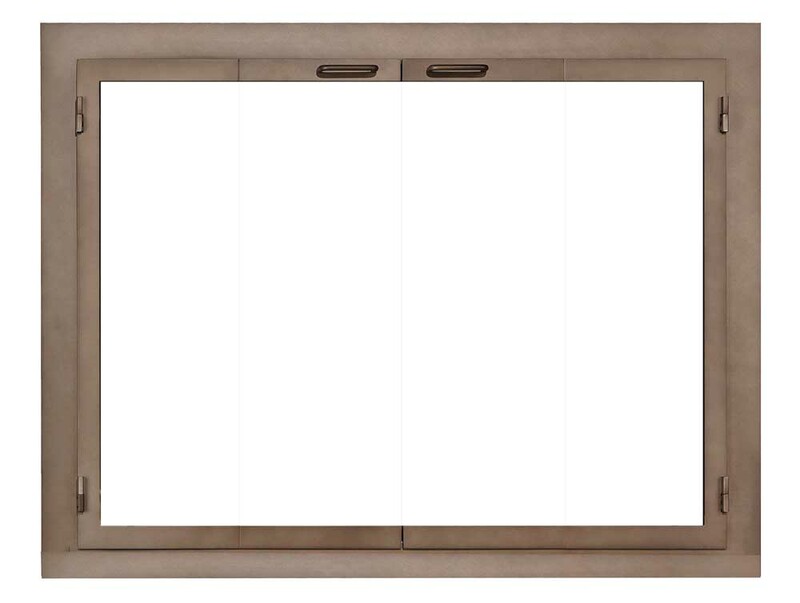 Cabinet fireplace doors offer a simple and elegant look that highlights more of your fireplace’s natural beauty. Bi-fold fireplace doors contain two pieces of fire glass apiece. Each door has a middle seam, allowing the doors to fold away to the side when you open them. In other words, they open away from the fireplace, but they fold in the middle. This can make it easier if you want to open your doors wider without worrying about bumping your fireplace tools or another fireplace décor that is safe to keep near the fireplace. Like the standard bi-fold doors, they fold in the center but remain on a track found on the fireplace door. These fireplace door types are an ideal option if you are afraid of the door coming open and swinging out. When it comes to purchasing a fireplace door, every single detail counts, but most of all, it is essential that you consult a fireplace expert to do the job. Contact Hi-Tech Appliance for any questions. 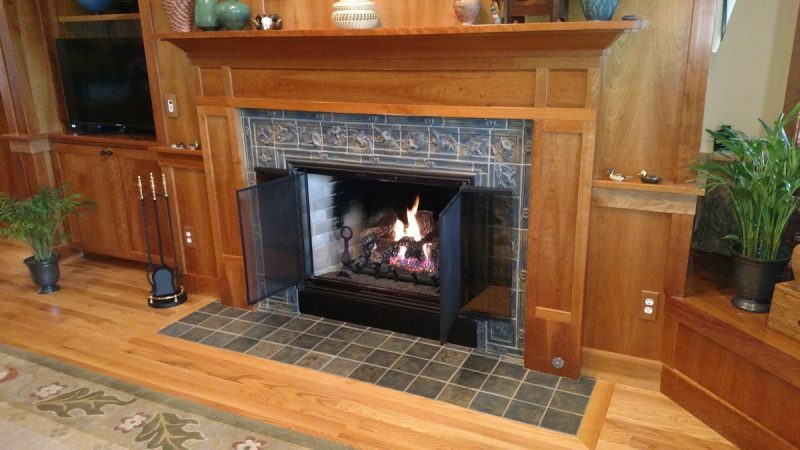 If you need to install a fireplace in Colorado, please call us at 303-665-0951 or visit our showroom in Louisville.